Leading Telecom Operator in India, Bharat Sanchar Nigam Limited (BSNL) has widening its services across all the telecom services. Now BSNL is on its way to add five lakh mobile connections in Odisha Telecom Circle at the end of March, 2013 with an investment of 100 crore. 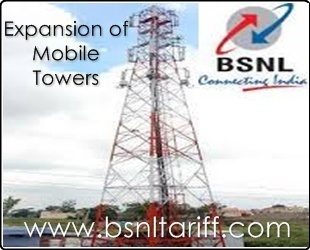 The competent Authority of BSNL said, that currently BSNL Odisha telecom Circle is holding nearly 42 lakh mobile connections with around 2,100 towers and estimated cost around Rs.100 crore for expansion. BSNL the main intention for expansion is to extend the 3G services to cover more towns and cities with better coverage. Mobile services covered all 314 block major towns and national highways across the state. 3G services now available in 48 towns will be bettered in the state after this expansion.